Yoga psychotherapy is the application of yoga and meditation to treat physical and mental illness and to support positive psycho-spiritual growth and development. We will describe how to transform the mind from a weak, confused, unstable, battered and bruised state into something that is diamond hard and diamond bright, capable of immense creativity and deep connection, meaning and purpose. Just knowing that this science exists and taking your first step on this path is empowering. Tantra, with its wonderful system of chakras and psychic passages. Vedanta, which details the various sheaths that make up our body, mind and spirit. 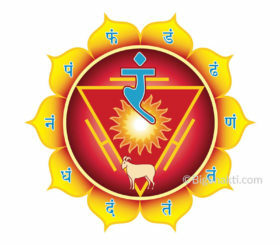 Samkhya, which enumerates all the elements of the human being. We will examine certain parts of this chart, with a special emphasis on the organs of the mind and how we can purify the mind from toxic feelings, anxiety, and resistance into a luminous balanced force so that you can engage with other beings in meaningful ways, to handle stressful situations more effectively. 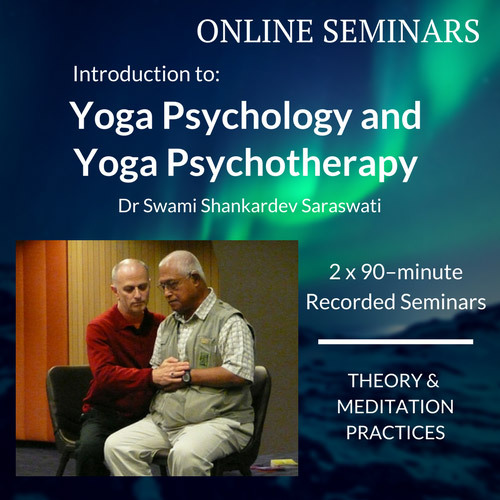 Enjoy this unique series of seminars from Dr Swami Shankardev Saraswati.